Neon Orange Flower Headband.Neon Rainbow Hair Flower Headband/ Hair Flower Clip, Dance Costume Headband. Fancy Girl BoutiqueNYC Custom made. 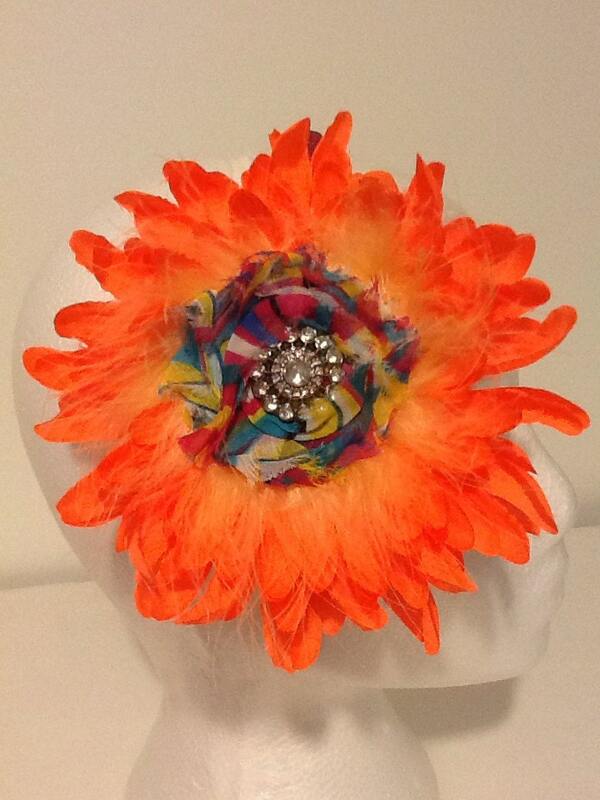 Available in Neon Lime, Neon Pink, Neon Yellow Hair Flower Headbands or Hair Clips.